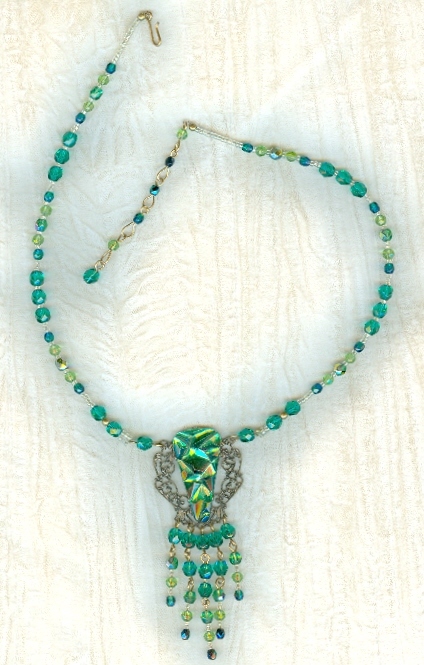 Highly textured and brilliantly foiled, this vintage triangular stone flashes peridot, emerald, kelly, and a gazillion other green hues depending on how the light strikes it. 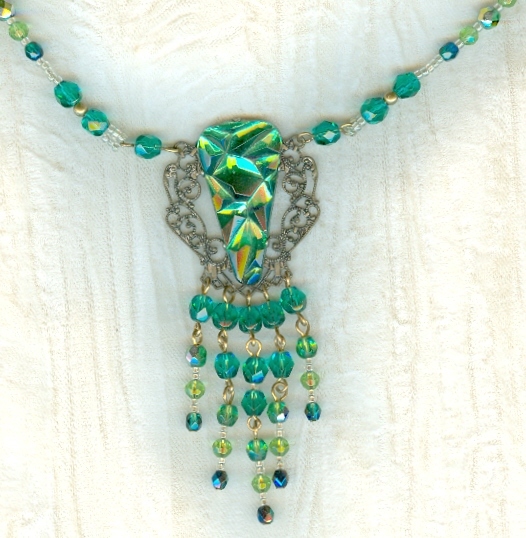 It's prong-set in a lovely vintage old gold-colored filigree, to which I've added a fringe of contemporary Czech firepolish crystal beads in colors to match the ones in the stone. The longest fringe element ends about 3-1/2" below the strand. I've used the same beads in the strand as are in the fringe. The hook-and-extender closure gives the necklace a working length of from 17-1/2" to 20". 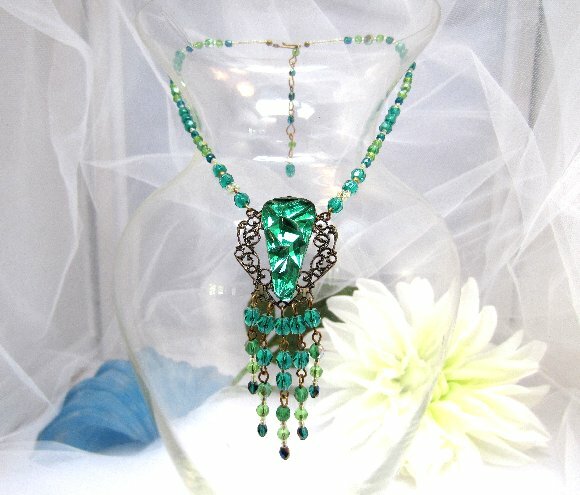 What a wonderful sparkler for spring and summer wear! Naturally, it's from SPARKLE PLENTY.